The holiday season is fast approaching and you might be wondering what to buy for your kids, grandkids or whoever it is. One idea that would be a great present for Nintendo 3DS gamers is to buy a new game for them! But, you could be unsure what are some of the games that they might like. Matthew Lettieri, from TekBotic, has compiled these games that are the top favorites and are perfect for any Nintendo 3DS' gamer's holiday gift! Check out our other Gifting Idea Blog Posts! What could have been just another sequel in a long series of games, is so much more. 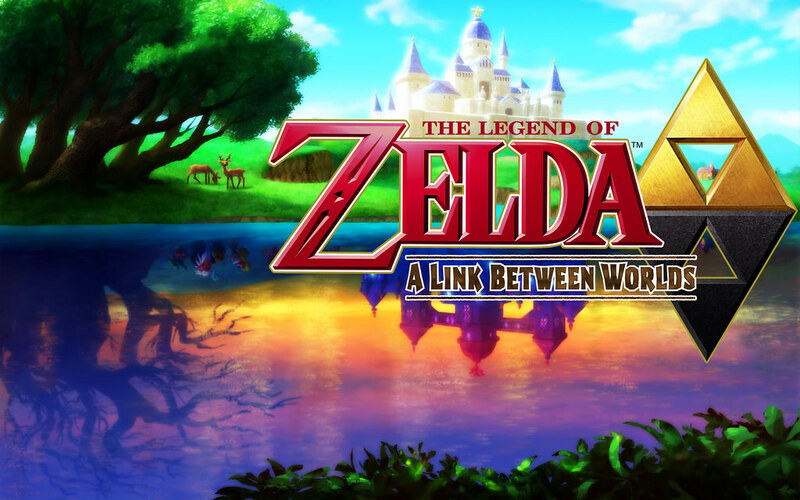 Now The Legend of Zelda: A Link Between Worlds doesn't revolutionize the series, it does do some great things. First, it pays homage to the world of Zelda with its renderings of Hyrule using the 3Ds's graphics. Next, it adds a very 'Paper Mario-esque' feature that allows players, with the click of a button, to make Link wall art. This allows you to navigate the dungeons of Hyrule in a new unique way. A Link Between Worlds also introduces Lorule, which is a new domain that is in essence 'the evil twin brother' of Hyrule. The puzzle-solving in this Zelda sequel is not as straight forward as some of its predecessors have been. Sometimes you will find yourself stuck for a little bit, putting your problem-solving skills to the test and adding a challenging layer to the game. Verdict: Who doesn't love Zelda? And now, it's back with even better graphics to enjoy. The raw joy found in all Super Smash Bros games is not lost in Super Smash Bros 3DS. The emphasis on competitive modes will bring out the fighter in you. The new trophies awarded to different characters for winning battles will bring nostalgia, along with the musical score that includes classic Pokemon and Zelda tracks. Super Smash Bros 3DS is the same rope-a-dope style fighting game that you know and love. Nintendo has tweaked the low-gravity feel of previous games to make this installment feel more honest and broadly appealing. They also tweaked the grabs and ledge-guarding to make it fair. The addition of new, somewhat weird, battle items gave the battles a fresher feeling. They can also turn the tide of a battle quickly! Nintendo has also put 49 different characters in the game to choose from, a far cry from the 12 available in the original. Verdict: Fast-paced fighters brawl game that gives tons of characters to explore and test. The general theme of Nintendo targeting our fond memories of playing video games as children is not missed in the new Pokemon games. Now Pokemon Sun and Moon is one of the few games on our lists that hasn't actually been released yet. Unfortunately, this means not a lot of people have played it yet. And short of a few Pokemon that have been named as being in the game, the developers are playing this one pretty close to the vest. It is available on November 18th, so make sure you get it early because these games tend to fly off the shelves when they get released. The one thing I can tell you about this game is that it should expand on the open world feel of the Pokemon games. One tester said that in time comparison to other Pokemon games, it took him about an hour to get to the first Gym Leader in Gen 1; in the first hour of Pokemon Sun, he said he was so distracted by side quests that he hadn't even made it to the first city. Verdict: For every Pokemon fan out there. Release your inner Pokemaster! Also, if you need spare chargers or cables for your 3DS, we're having a massive SALE for the holiday season (Black Friday, Cyber Monday, Chrismas)! Follow us on Twitter and like our page on Facebook for the latest updates! Matthew is an avid sports fan and video gamer and currently plays Battlefield 1, Gears of War 4, Rocket League, and FIFA 17.